We are proud to offer the best value for money projects in the region and occasionally have some superb conservatory offers. We continuously update this page with web offers to reduce the price you pay for your new windows, doors, conservatories, orangeries and much more. To ensure that you receive only the best deal on your new home improvement project please view our current conservatory offers exclusive to the web below. These can only be applied at point of quotation and not retrospectively or in conjunction with any other offer. When contacting us be sure to quote the discount code. Save 10% on windows and doors when you place your order before Easter 2019. 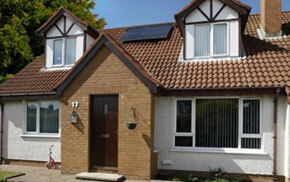 Applies to PVCu aluminium and hardwood windows. Save 10% on the cost of your new conservatory frames and roof when you place your order by Easter 2019. 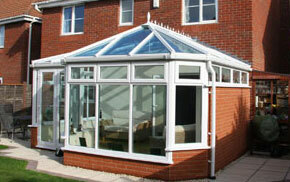 Applies to PVCu, hardwood and aluminium conservatories. Receive 10% off the cost of your new orangery frames and roof when you place your order with us before Easter 2019. 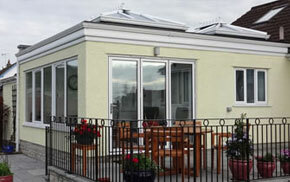 Applies to traditional and “mock” style orangeries. Save 10% off the price of bi-folding doors when you place your order before Easter 2019. 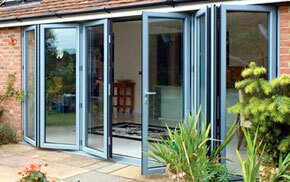 Applies to Bi-folding doors and swing and slide alternatives. * applies to frame and glass price only. ** applies to quotations given before Easter 2019 to customers quoting reference at point of arranging quotation only.